The cream of the 2015 NHL unrestricted free agent crop is thin, but the RFA ranks are stocked with young and no doubt costly talent. The soon-to-be former Anaheim Duck put up career numbers last season, scoring 22 goals and adding 10 assists in 65 games. During the postseason, Beleskey talled eight times in 16 playoff games. Before this season, the 27-year-old had only hit double-digits in goals once. Is he a flash in the pan? Or a legitimate second-line winger? At worst, Beleskey is a solid third-liner on a good team. At best, his scoring continues to improve and he becomes a key contributor to his new team. Off-ice questions about his behavior aside, Ribeiro can still be productive. Rejuvenated with coach Peter Laviolette's more offense-minded Predators last season, he scored 15 goals and 47 assists, his best campaign since 2011-12 when he was with Dallas. 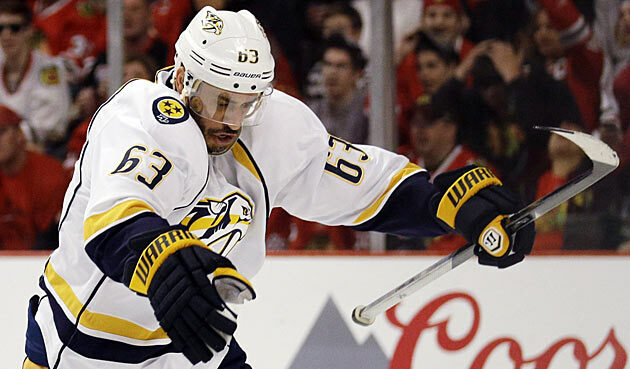 But given his troubled history, Nashville was thought to be his final shot at staying in the NHL. Will teams take a chance on a player who is involved in an alleged sexual assault case? Or will they ignore that and plug in a second-line center who can still produce? Ribeiro obviously thinks it's the latter as he rejected an offer from the Preds in order to test the market. Gone are his days of scoring 31 goals in a season, but Green can still contribute from the back end. 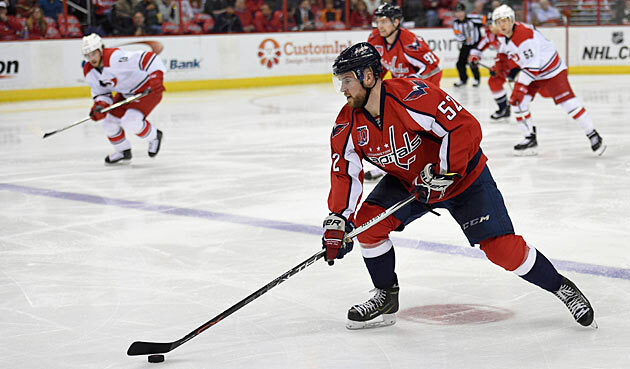 The Capitals defenseman put up 10 goals and 35 assists in 2014-15, but he's not the most reliable player in his own end. Green excels in an up-tempo, high-octane offensive system that asks blueliners to join the rush. Could he be a fit in Tampa Bay? Adding him to the Bolts' potent power play would be a good move if GM Steve Yzerman can free up the cap space. 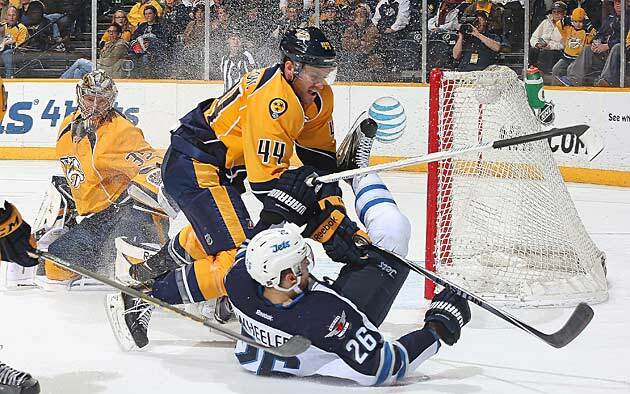 Things didn't work out for Franson in his return to Nashville, but the big defender will appeal to more than a few teams. 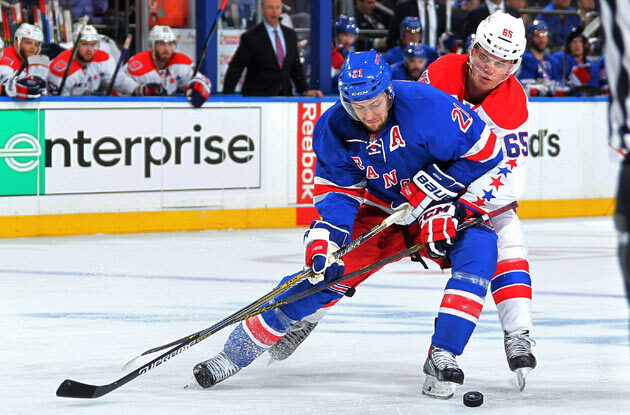 The 27-year-old had seven goals and 29 assists, including 17 power-play points. Franson proved to be a bad fit in Nashville’s up-tempo scheme, but he might be more valuable as a second-pair blueliner on a team that plays a heavy style, such as Boston or Los Angeles. Frolik could become one of the biggest steals in free agency. He can do it all—score, kill penalties, play solid defense. He has championship experience from his days in Chicago, so teams looking for their final piece will covet him. 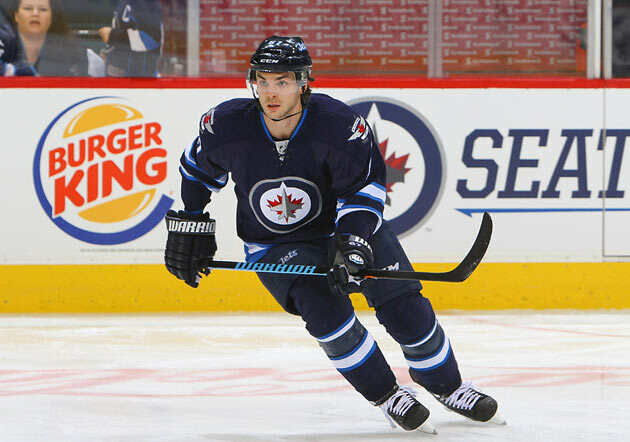 Winnipeg will try to keep him, but he can expect a lot of suitors and a chance at a big payday. Ehrhoff is coming off an injury-plagued season that saw him play in only 49 games with the Penguins. 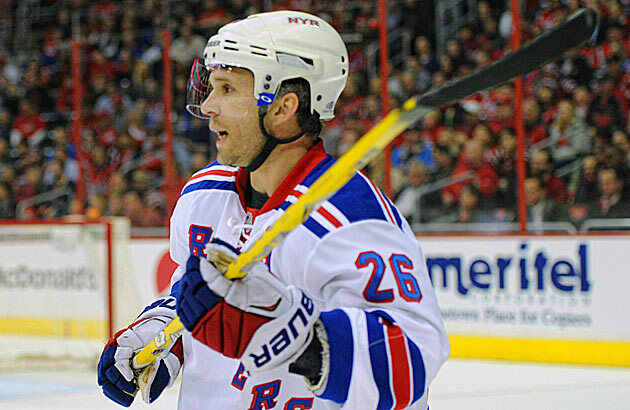 When healthy, though, he's a good puck-mover who adds mobility and experience to any blueline. Ehrhoff fits best as a No. 3 or 4 defenseman and could complement a shutdown pair nicely. After struggling to find his way following his midseason trade to Chicago, Vermette certainly picked things up late in the playoffs. He scored four goals during the Blackhawks’ Stanley Cup run, three of which were game-winners. 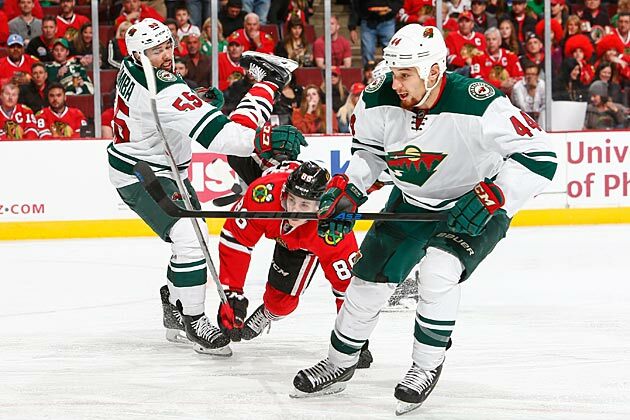 Vermette is a reliable defender and an excellent face-off man who adds some offensive punch. He’ll have plenty of suitors. A two-time Cup winner, Oduya has played big minutes in the biggest situations. During the postseason, the steady defender averaged almost 25 minutes of ice-time against top competition. He's probably best suited as a No. 3 defender. Oduya could be a great fit in Edmonton or Calgary, young teams that would benefit from his experience and no-nonsense play. Is St. Louis the 21-goal scorer of the regular season? Or is he the aging winger who struggled mightily in the playoffs, scoring just once and looking a step behind the play? If he’s the former, a contending team like Pittsburgh could receive a nice secondary scoring boost and veteran leadership. If he’s the latter, he might be relegated to fourth line duties, a role for which he’s not suited. 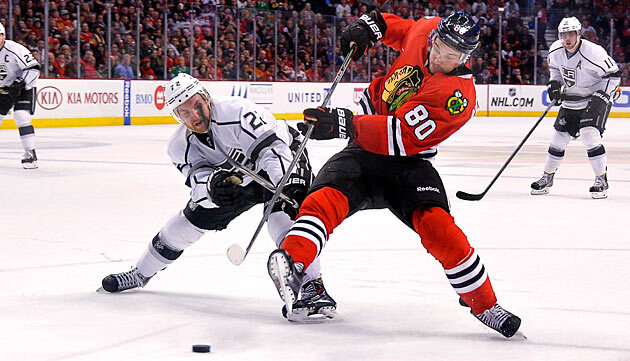 The league is moving towards a speed game—look at Patrick Kane or Tyler Johnson, Jonathan Toews or Steven Stamkos. Stewart is not a speedy player. He’s a power forward, and a streaky one. After a midseason trade to Minnesota, he scored 11 points in 20 games. During the postseason, he had just two assists in eight games. Stewart won’t fit on all teams, but there are some—like Boston—with whom he could excel. Not many teams make a run at restricted free agents. They can cost a lot in draft picks to get, and throwing down the gauntlet of an offer sheet seems to violate an unspoken code amongst GMs. But if a team is willing to risk a lot, it could be rewarded with some prime talent. There are a number of dynamic restricted free agents available this year, franchise-changers who might be worth a shot and the price. 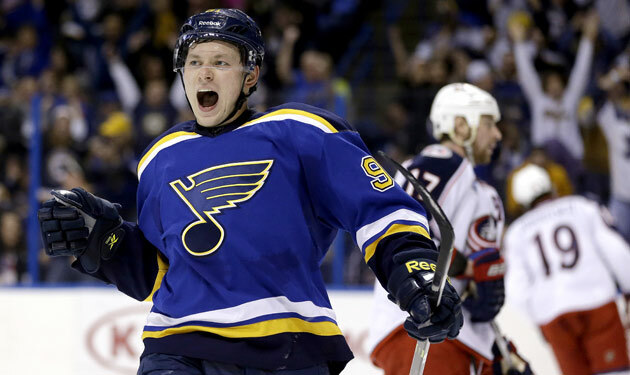 Tarasenko is only 23 and he scored 37 goals during the regular season before adding six in six playoffs games. One of the most electrifying scorers in the league, he has almost unlimited potential, and will soon be a 50-goal man. With $14 million in cap space, the Blues will surely do everything they can to keep him, but his talent level is surely tempting to teams that have the money and boldness to tender an offer sheet. A true power forward with top-end speed, Saad doesn’t get enough credit for the success of the Blackhawks. He scored 23 goals this season and added eight in the playoffs. A hard-charging wing who is only 22, Saad projects as a 40-goal scorer who constantly gets on opponents’ nerves. 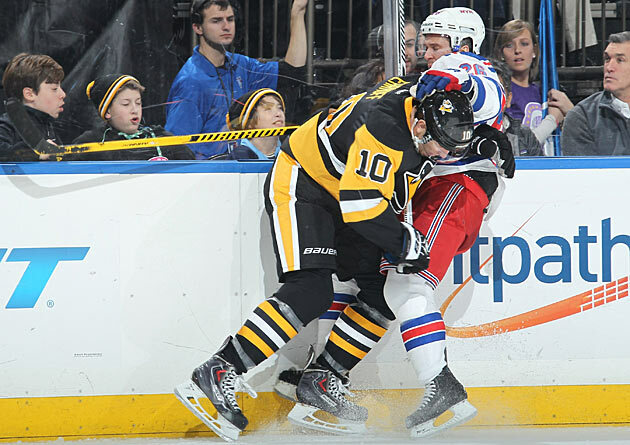 He's from Pittsburgh, and with a cap crunch in Chicago, the winger might look nice playing next to Sidney Crosby. At least that's the dream of Penguins fans. 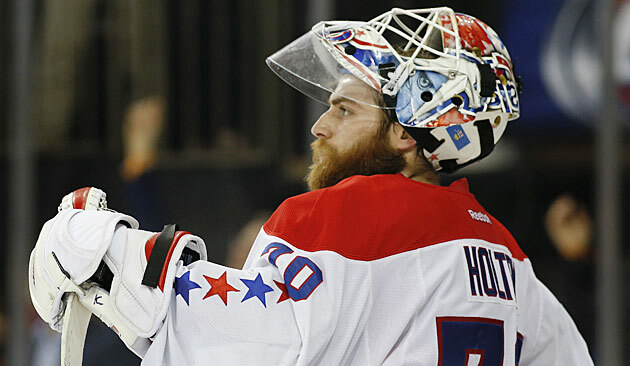 Holtby had a career season and was, at times, unbeatable during the postseason. With excellent numbers—2.22 goals-against average and .923 save percentage—he is a future star in the net. Hard to imagine Washington letting him go, and the talk is that the Caps plan to lock him up for the long term. Only 21, he has already produced a 20-goal season. 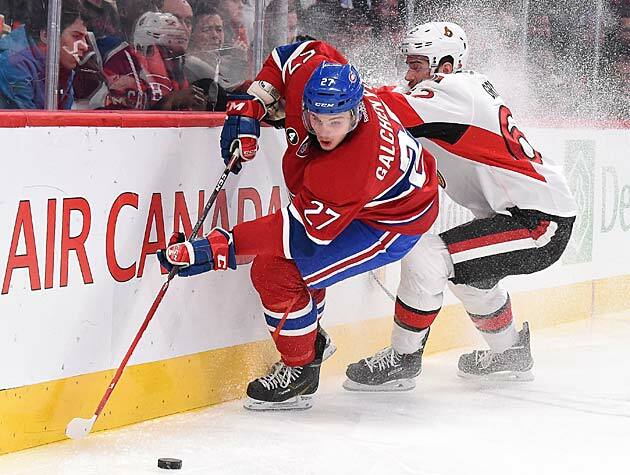 With his electric skill, Galchenyuk could easily develop into a 40-goal scorer. Offense-starved Montreal would be lost without him, and the Habs will do everything they can to get him signed. Talks got off to a slow start when Galchenyuk decided to hire a new agent to negotiate his new deal. A playoff hero for the Rangers, Stepan is a 1/1A center on most teams. He produced 55 points in 68 games during the regular season, can play in all situations, and has plenty of postseason experience. It would be a surprise if the Rangers let him go, especially after their trade of Carl Hagelin to Anaheim for Emerson Etem signaled an obvious cap space move to make signing Stepan easier. Silfverberg busted out this season, scoring 13 goals and adding 26 assists. In the postseason, he was, at times, Anaheim’s best player, with 18 points in 16 games. 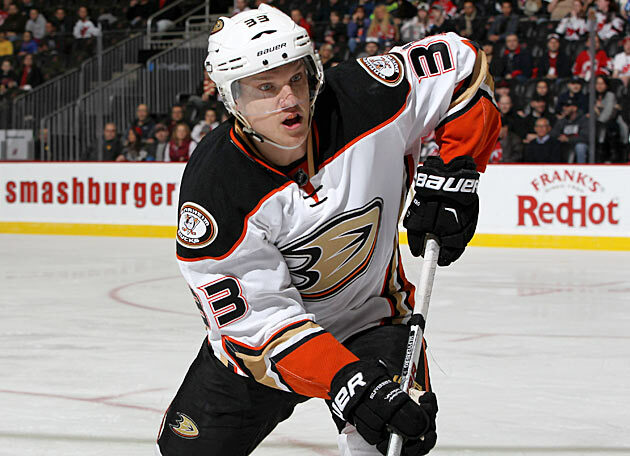 Just 24, Silfverberg is becoming a critical part of Anaheim’s core and he would be hard for them to lose. 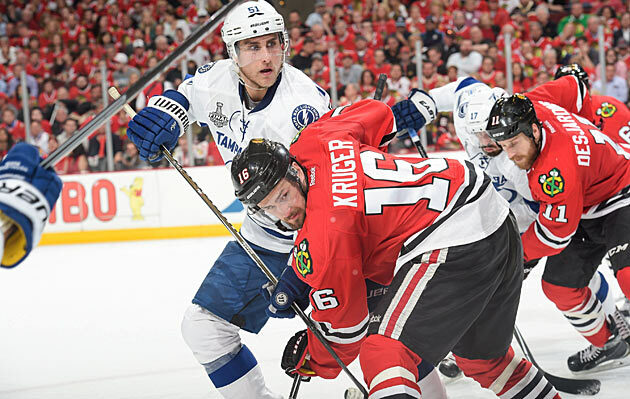 Kruger has been a key part of two Cup-winning teams, killing penalties, winning face-offs and being on the ice at the most critical times. If he leaves the Blackhawks and emerges from the shadow of Jonathan Toews, Kruger has the ability to turn into a more high-profile two-way center. He could easily become a 20-goal scorer with more consistent play. It's hard to judge his 21-28-7 mark on a bad Toronto team too harshly. The netminder put up a .912 save percentage (30th in the league) and 2.87 goals-against average (34th), but if interested teams consider his play in the context of what his Maple Leafs teammates were doing in front him, they will see a legitimate No. 1. Toronto, needing all the help it can get in many areas, will be hard-pressed to let him go. The Swedish-born center has quietly produced 55 goals during the last two seasons, 20 of which were power-play tallies. 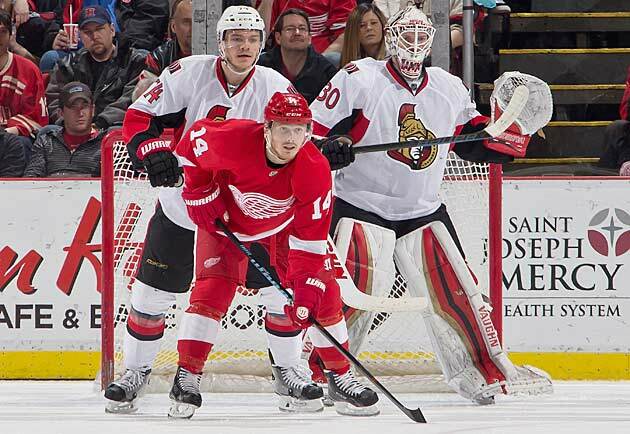 An elite offensive talent who is just 25, Nyquist fits best as a No. 2 center on a good team. That said, some goal-starved clubs, like the Coyotes and Devils, could see him in a No. 1 role, where he might be miscast. 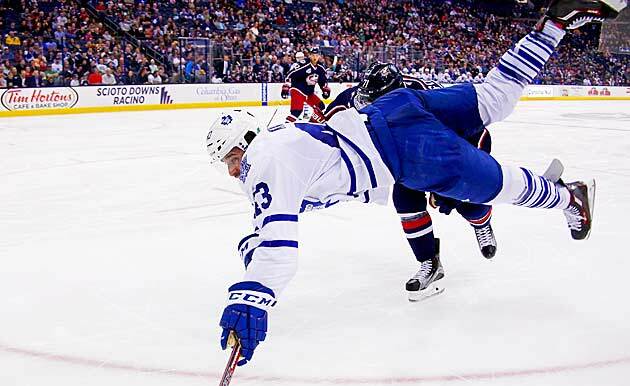 Kadri is a legitimate second-line center who still has the ability to mature into a first-liner. Does he fit into new coach Mike Babcock’s plan? If not, a center-needy team that takes a flyer on him will get a 20-goal scorer who isn’t a liability in his own end and has room to improve. Two-way centers are increasingly invaluable in today’s NHL. Kadri isn’t there yet, but he may be on his way.